I don’t usually talk about hotels but this particular one is an exception. My mother and her sister are regular patrons of The Gardens, Boulevard and Cititel Mid Valley. All three of these hotels are under the same management, with The Gardens and Boulevard under St Giles Hotels and Cititel under CHM Hotels. One of these hotels are always their choice of accommodation when visiting me here in KL. I would go stay with them often too when they’re here (before I had the baby) and never a bad experience. Two years ago, my immediate and extended family came over from Kota Kinabalu for my wedding here and stayed at Boulevard Hotel. It was really a wonderful memory of going to the hotel countless of times to pick up and drop off haha. 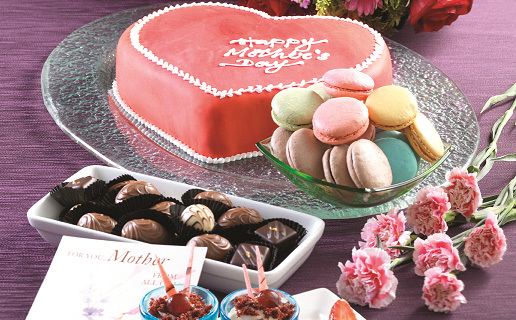 This Mother’s Day, The Gardens Hotel is having a “A Special Treat for Mum”. On the 8th of May, from 12 noon to 3pm, celebrate the superwoman in the family by bringing them to a buffet lunch at The Spread. The Spread serves a sumptuous buffet lunch delicacies with an endless choice of more than 100 gourmet delights (can we say eat till you die? lol). Priced at RM125 nett per pax (only for The Almost Housewife readers! ), a delightful door gift awaits all guests (while stocks last). You also can take a family photo at the photo corner and take a copy home with you. That’s not all, guests will have a chance to win stylish prizes such as Kipling pouch, fragrances and dining vouchers! Mothers dine for FREE, for every 4 full paying adults; 1 Mother dines for FREE during Mother’s Day Buffet Lunch.